January is a testing month. You’re cold, skint and guilt-tripped into cutting out the booze – and that’s before any football. The first month of the year hasn’t always been kind to Derby either. Three years ago a winless January cost Paul Clement his job, and in transfer windows since there have been panic buys we still can’t shift now. This season there was only one league win (in normal time) last month – but plenty of signs that lessons have been learned and progress made. 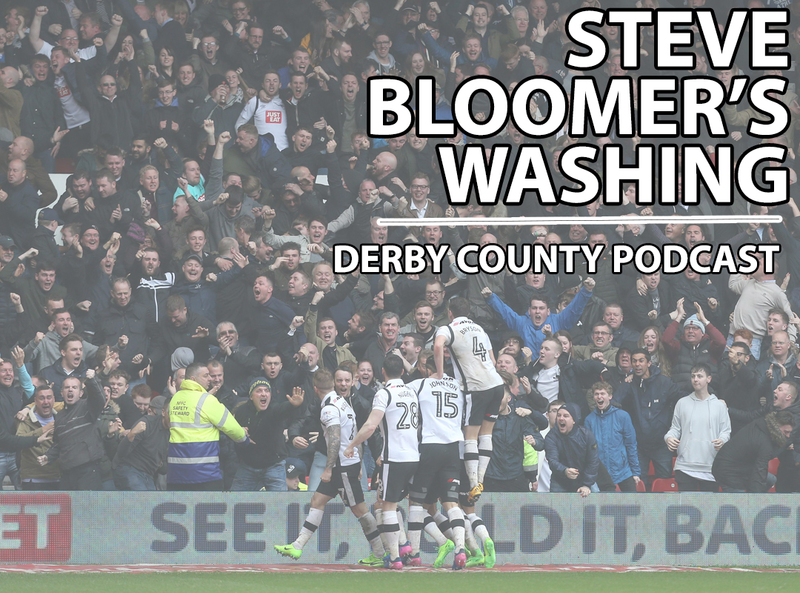 January concluded a brutal set of fixtures where we knew we’d find out more about Derby’s top six credentials. The draw against Middlesbrough and limp surrender to Leeds showed we may not have enough for the top two – but we’re easily as good as the other play-off contenders. Harry Wilson scored Derby’s first goal of 2019. It’s now beyond doubt that his rocket-powered left foot is crucial to our promotion hopes. However, Pulis’s typically stubborn Boro side came away with a point by outmuscling Derby in the second half. The theme continued in Derby’s next league game at Elland Road, where leaders Leeds bullied us across the park, cruising to a 2-0 win. When you’re faster, stronger and more aggressive, it makes you wonder why Leeds bothered spying on us in the first place. Sandwiched between Boro and Leeds was another thrilling comeback – the eighth time Derby have recovered from a losing position to gain points this season. Having gone 2-0 down at home to Southampton, our cup ambitions looked dead and buried. With Jack Marriott in the team, however, we’re always dangerous – even more so when the mercurial Tom Lawrence turns up too. The Welsh winger remains a source of frustration. Influential in the cup but anonymous against Leeds and Preston, he still can’t achieve consistency. Thankfully, others have stepped up as Lawrence struggles for form. Duane Holmes, now an established first team player, staked his claim and kept the shirt, having made his first league start in November. With energy, trickery and an ability to snake past tackles, it’s easy to see why his star continued to rise last month. Holmes got his first Derby goal in the 2-1 win over Reading – another three points where the Rams laboured towards the end and made matters harder than necessary. Martin Waghorn also hit the groove, bagging crucial goals in the Saints replay and tricky Accrington tie. Lampard’s vibrant, entertaining Rams might not all turn it on every game (Mason Mount’s form has also dipped), but we have enough attacking talent overall to threaten most teams. It wouldn’t be January without a transfer window, and Derby’s business showed that perhaps Lampard really wasn’t bluffing when he stressed there ‘wasn’t much business we could do’. A free agent and a loan may not excite too many fans, but Ashley Cole and Andy King will provide crucial experience for the run-in, extra legs in midfield and essential defensive nous. We’re well positioned for the last 17 league games – but the Rams will definitely need our talented youngsters to deliver regularly if we’re to extend the season by two (or more) games. More penalty heroics: Five belting spot kicks at St Mary’s, rounded off by Richard Keogh casually slotting into the bottom corner in front of the away end. The Magic of the Cup! Harry Wilson’s latest left-footed howitzer (this one against Middlesbrough) was a contender, but Tom Lawrence’s long range dipper against Southampton was one of the goals of the round. Just work on producing that every week, eh Tom?